Multiple Inflatables and Games with Prizes for the kids. As soon as grant moneys are available, we would designate a location which should be near the Robert D. Ray Welcome Center for the access of its restrooms and running water. Overseeing the gardens would be easier for TVI staff from the Center. However, we need to build a 100 feet gravel road from the main road to the garden. And most importantly, we need the irrigation or water from the pond for a distance of 2500 feet. Investing on this kind of irrigation by using water from the pond instead of city water would save considerably in the long run. e. build a small nursery, 10’x12’, near the garden to grow new seeds and young plants. The real gardening time will start from early May until end of September. Some vegetables may resist the cold and last until end of October. There would be no end to the project. This community garden project, once established, will be ready for next year gardening except for seeds and new plants. But the cost would be minimal. 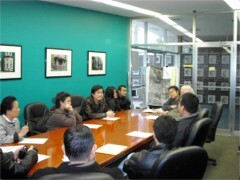 We would like to continue this project if it’s progressing and productive and as long as gardeners would participate. 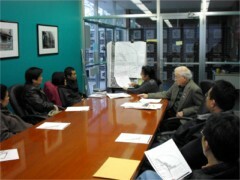 The evaluation of the project will be reported monthly on our TVI website. September 4th, 5th and 6th of 2015. 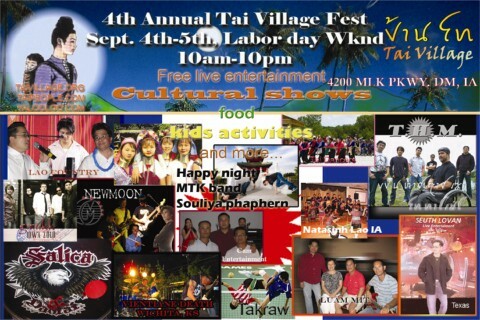 Please come and experience Tai and other Asian culture, enjoy great family time, taste varieties of food, listen to live music, dance and meet the neighborhoods. Many more events and activities are added for this year's festival. This event is opened to the public, free admission and $5 donation for on-site parking. 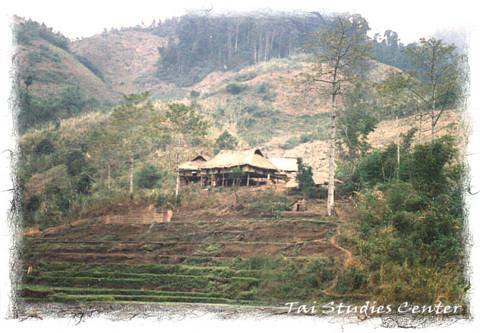 Click for Tai Village Home Page. New Moon Tai Music Video shot at Tai Village. Pictures from the 2008 Tai Village Festival. See some 2007 Festival photos. Click for map to Tai Village entrance. Today's weather at Tai Village. Friday, April 13, 2007 of the Des Moines Register article. 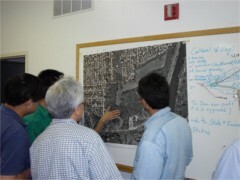 A cultural center for the immigrant Tai Dam community will break ground in Des Moines this summer following approval of zoning changes needed for the project to proceed. 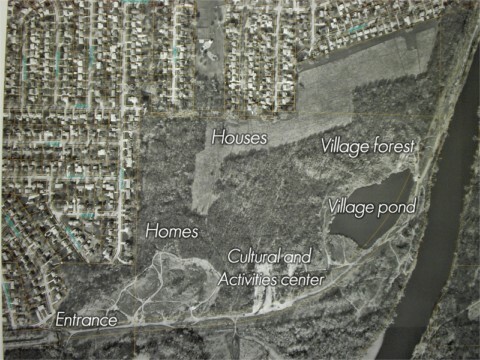 The Des Moines Plan & Zoning Commission last week unanimously approved plans. Scroll to the bottom to see some photos of the proposed land. 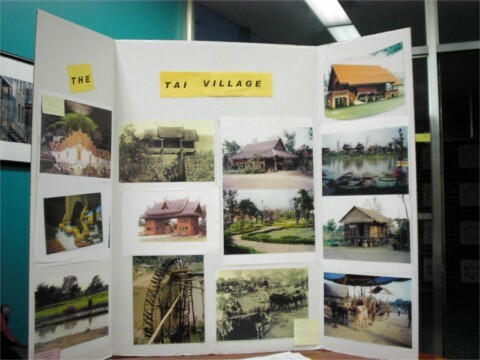 In recognition of their immigration and successful resettlement in the United States, the Tai Dam believe in the idea of creating something special such as an image of a Tai Dam Village and lifestyle that they would contribute to the American society as a token of their appreciation. 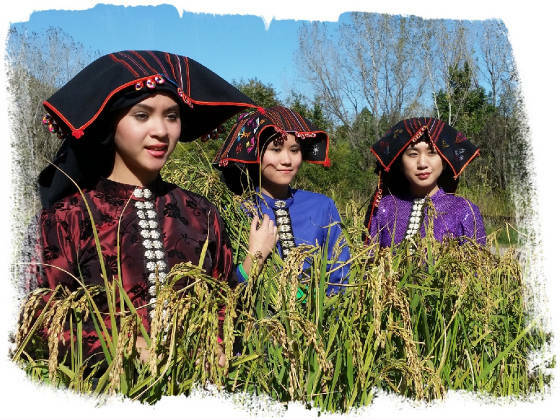 Moreover, as newer generations of the Tai Dam people have grown up and integrated into the new society, more than ever the Tai Dam people should preserve and promote their beautiful culture for the benefit of their younger generations and American friends. 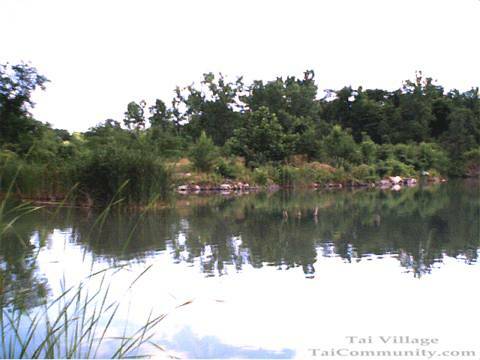 In 2001, a non-profit organization named Tai Village Inc. was formed to pursue their everlasting dream of having a place for a Tai Dam Village. After two long years of inquiring about a piece of land north of Des Moines, Tai Village Inc. purchased that land in October, 2003. 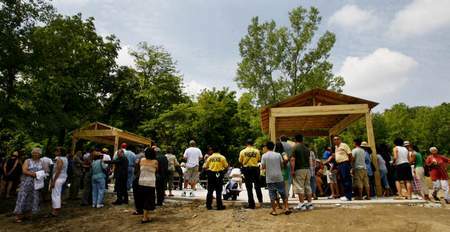 The 100-acre parcel of land is located north of M. L. King Jr. Parkway in Des Moines. 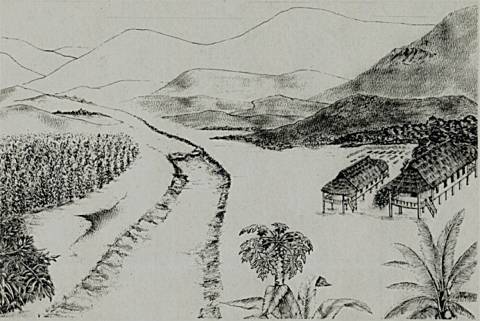 It was formerly a brick yard, and most of the property is considered a wasteland because of its trees, rifts, hills, old brick kilns, Indian burial mounds, a giant pond, the Des Moines River, etc… However, those trees, hills and waters will be "ideal" for a Tai Dam Village created by the Tai Dam people who formerly lived in a mountainous country. Seeing the Tai Village dream as an ideal and attractive project, the landowners decided to donate the rest of the land, about 30 acres of good flat land, to Tai Village Inc. As an expression of our eternal appreciation, a replica of a brick kiln will be erected as a memorial monument for the brick factory. 1) Village Entrance: In their ancient times, each village or city would have a solid entrance gate that could be opened to welcome visitors, or closed to keep out intruders. Such a gate at this village would have cultural significance as well as practical value. The gate will be built right North of M.L. King Pkwy. Accessible boundary borders will be fenced or blocked by chain-links or hedges of shrubs and trees. 2) An Activity Building: It will be a 15,000 square feet building, suitable for Tai Dam cultural and social events on weekends (New Year celebrations, weddings, traditional parties, etc.). During weekdays, Tai Dam organizations and offices will have access to this building for their business and activities, such as a museum, a gift shop, a library, and classes in Tai Dam literature, dancing, cooking, etc. 3) Sacred Forest: The tree line above the pond, where the Indian burial mounds are located, will be cleaned up and preserved as their "Dong Kam" or "Sacred Forest". According to their traditions, each village or city should have a sacred forest where their founding ancestors' shrine is located. Everybody should respect the forest and avoid trespassing. 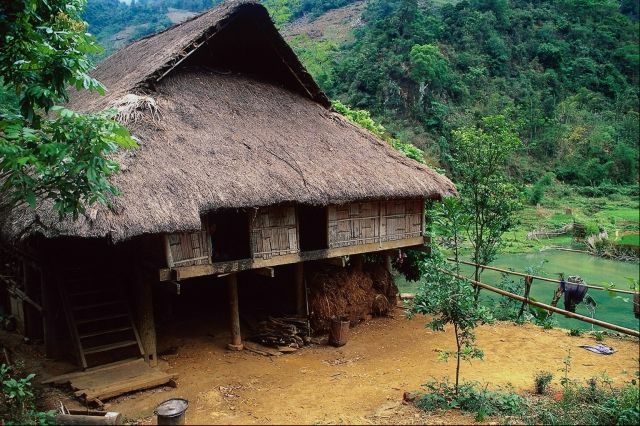 4) Residential Houses: To represent the Tai Dam culture, a dozen of Tai Dam families, may want to build residential houses and reside in Southern part of the property. Their houses may be built in modern styles, but the gates or the surrounding porches should be in Tai Dam typical characters. 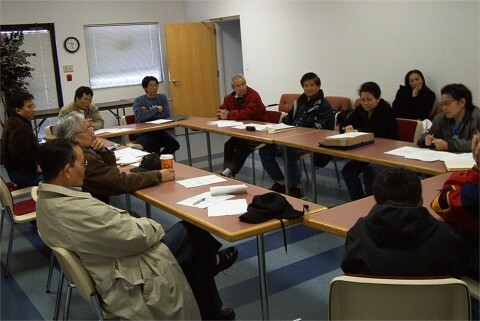 These residents will also be needed for overseeing and taking care of the Village and its facilities. 5) Other Tai Dam Showcases: Ancient tea houses and Tai Dam water mills around the pond, a rice paddy with real water-buffalo, traditional gardens with Asian vegetables and flowers, flocks of Asian livestock roaming here and there, Asian palm trees, ponds of water lilies, and other Tai Dam features will add accents of an Asian village to the Village. Visitors and tourists will be welcomed and can enjoy the exhibitions and a leisurely walk through the Village when it is completed as dreamed. 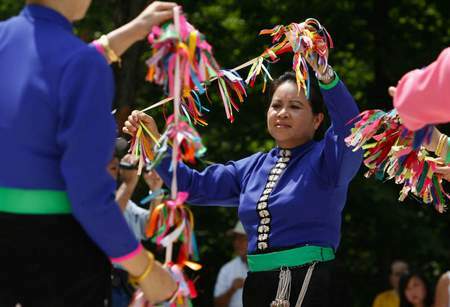 The Tai Dam people in Iowa are now considered the focal group of Tai Dam people from all over the world. 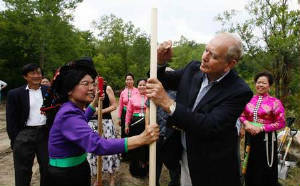 The Des Moines area should be expected to benefit from the availability of the Tai Village and these cultural and educational programs. 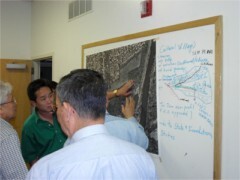 People from all over the United States will come to Des Moines to study, research, and participate in the Tai Dam cultural activities. 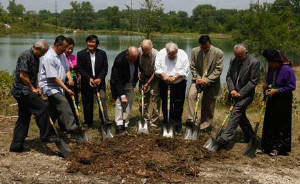 It should be a rewarding investment for the community of Des Moines to support the development of the Tai Village. Map to the front entrance of Tai Village.